I actually drew the following strip first but thought I needed a little set-up strip. So I made this one. Seems like I’ve been including Legos in quite a few of my strips. 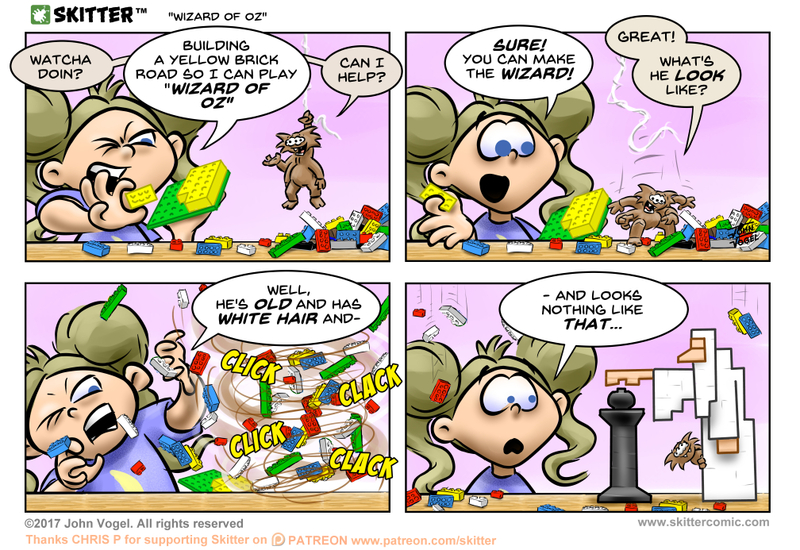 Girl Legos , Pretending , Little Luna , Wrong Button , and now the next 3 strips including this one. I must be influenced by all the Lego video games being played in my house over the past few years. I didn’t have many Legos when I was a kid but my friend had a lot. We would build all kinds of stuff at his house. He got a set of the more ‘adult’ version with gears and wheels and we would build big motorcycles and jump them in the air with ramps. Man they would fly… and crash.